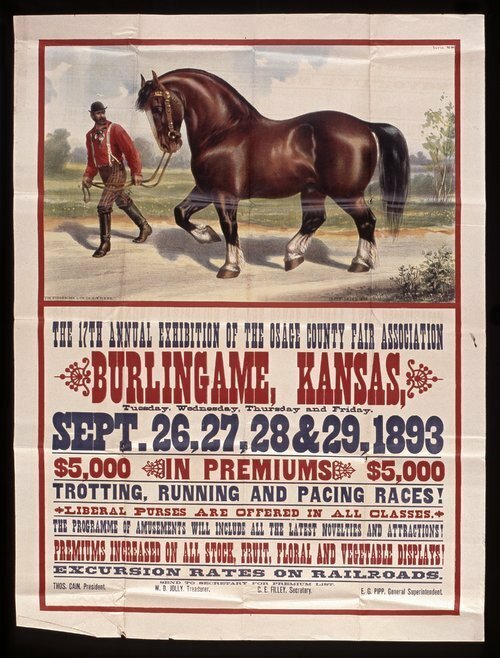 This poster announces the seventeenth annual fair at Burlingame, Kansas, sponsored by the Osage County Fair Association. Highlights of the fair include $5,000 in premiums, trotting and running races, and reduced railroad rates. The poster includes a color illustration of a man walking a horse.